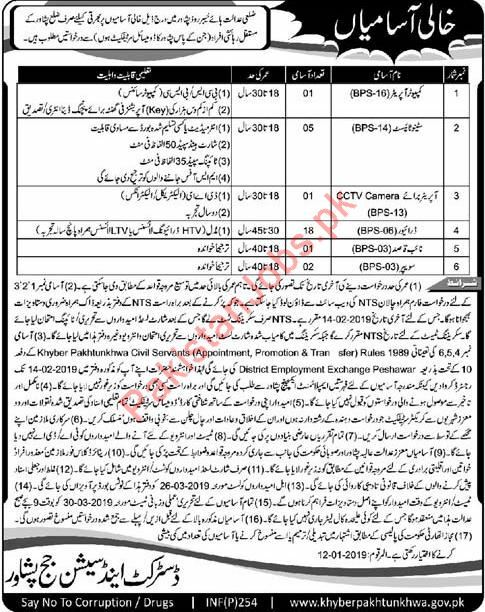 Computer Operator, Stenotypist, CCTV Camera Operator, Driver, Naib Qasid and Sweeper Career at District & Session Judge in Peshawar. Candidates should be literate with having experience in related field. Get more detail from nts site.